Of Roman origin, an important centre of Italy's Provençal culture during the Middle Ages, Treviso was for centuries an important part of the Republic of Venice, a thriving and harmony filled city, as Carlo Goldoni defined it in the 18th century: the "garden of Venice". That harmony is still a characteristic of the city today, since Treviso is a territory that, as few others besides, was able to mix the charm of its natural sceneries and its precious historical-architectonic contexts with a strong industrial and tertiary sector growth, making it one of the most competitive economic areas of Italy. Treviso's attraction does not just lie in a single symbolic monument, but in a whole of places and glimpses. The city, surrounded by walls, is crossed by thousands of water courses born of resurgence bubbles and which converge into the Sile, its river, opening and disappearing behind the town fabric and giving the city its unique appearance. Ancient buildings with frescoed facades form an inimitable decorative continuum, a cycle of open air frescoes, among which some true masterpieces: the Duomo and the Piazza dei Signori are possibly the most significant ones. The Duomo, with its majestic neoclassic façade, contains works by Tiziano, Pordenone and P. Bordon. Next to the Duomo rises the 11th century Baptistery , with frescoes of Byzantine style. Piazza dei Signori is the city's salon. 'Calmaggiore', the most elegant road in town, ends there. In the Piazza there are various buildings, among them the Bell Tower and the Palazzo dei Trecento, its grand and rich hall accessible through a monumental staircase. Behind the Piazza there is the remarkable Piazzetta del Monte, and not far the splendid corners of the Pescheria, the Canale dei Buranelli and Piazza Rinaldi, from which you can reach the austere Chiesa di S. Francesco. If you go for a drive outside the town you will see the beautiful places of the Marca Trevigiana. 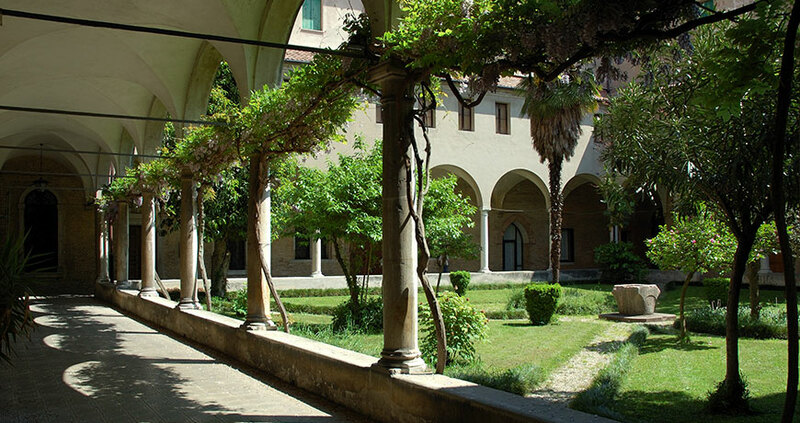 InMogliano you will still find the remains of an ancient Benedictine Abbey founded in 995 AD. InPaderno di Ponzano you can see Villa Minelli Benetton, built at the beginning of the 17th century, with many rooms all splendidly frescoed, the headquarters of the Benetton Group. Other superb villas look onto the Terraglio road. Every year in April Treviso holds Corritreviso, an international road race that is a "classic" of National sport, which crosses the whole historic city centre within the city walls. Still in the spring there is also "Treviso Marcastorica", with a rich programme of medieval and renaissance costume, parades, tournaments and historical pageants.